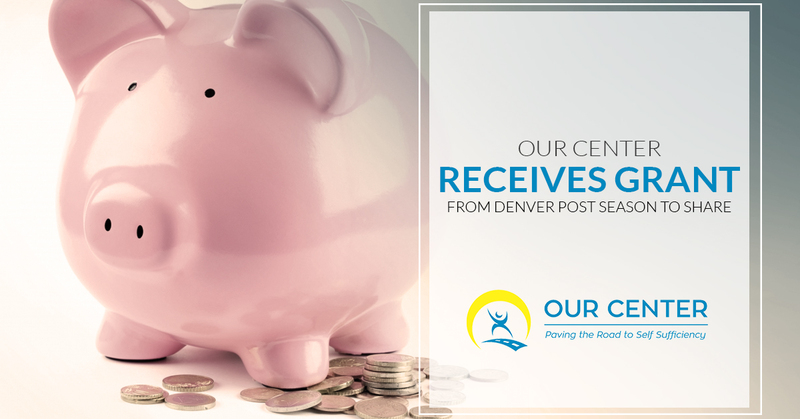 Outreach United Resource Center, Inc. (OUR Center) is pleased to announce the receipt of a $40,000 grant from Denver Post Season to Share, a McCormick Foundation Fund. This grant will support our Homelessness Prevention program, providing rent and utility assistance for residents of the St. Vrain Valley, in order to help them move to self-sufficiency. This fund supports local nonprofit organizations with programs that focus on child & youth education, health & wellness, homelessness and hunger. Grants are made possible with the generosity of Denver Post readers, the general public and corporate donations to the Season to Share campaign. Thank you, Denver Post Season to Share!